Citing forecasts for cold and wet weather, East Alabama Motor Speedway has postponed Nov. 10-11’s 44th annual National 100 weekend, the Phenix City, Ala., track announced. The track, concerned that the weather would play havoc with parking for the multidivision event that’s the track’s biggest of the season, plans to make up the event, but no date was announced. 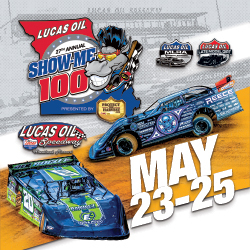 The event was highlighted by a $25,000-to-win event for Super Late Models with time trials and heats scheduled for Saturday and the main event on Sunday. The National Late Model Super Car Series and two Crate Late Model classes were among other divisions slated for the event.